Beer Totes: Work in Progress. I'm working on bringing these bad boys to market. With the help of a friend of mine, I have been able to design and make these great wax canvas beer totes. 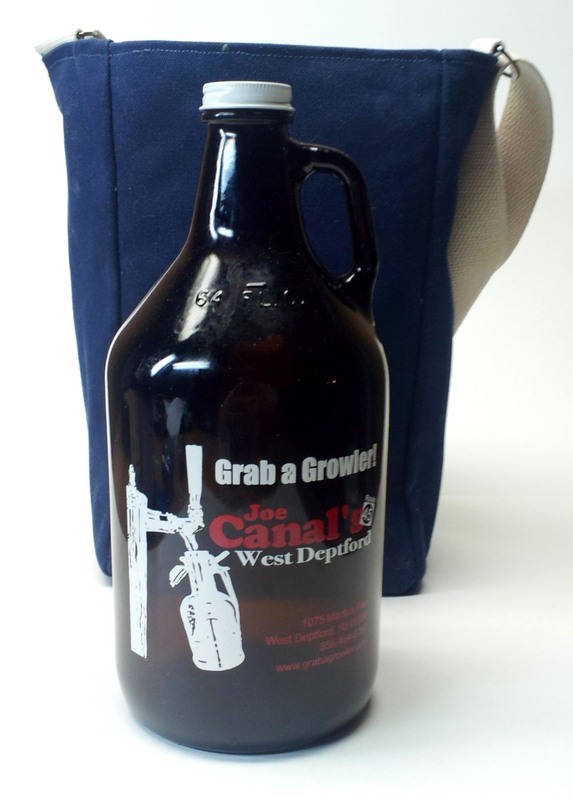 The large bag is for standard 64oz growlers, and for (2) 22oz beer bottles. There is a hinged padded fabric divider that folds out to separate two bottle and keep them from banging together, or it can fold flat to fit a growler. It has an adjustable cotton webbing shoulder strap for easy carrying. The top closes with a cotton webbing latch for secure travel. The interior has a decorative lining with batting for insulation. The small bag is for a single 22oz beer bottle. It has similar construction to the larger bag, but it has a small strap for carrying, and a jean button rivet to close the top cover.